As one of NTS Radio’s best-loved DJs, Nabihah Iqbal FKA Throwing Shade is known for her horizon-broadening selections. 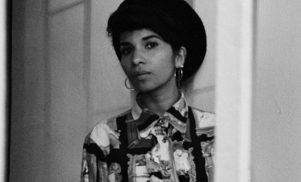 Now standing “proudly as a British Asian musician under her own name,” Iqbal’s debut full-length for Ninja Tune, Weighing of the Heart, is a dream-pop fantasia inspired by Can and Bauhaus, writes April Clare Welsh. Guitar music has had a rough time of it in recent years, but it’s hardly dead. Over in the global DIY underground, the electric guitar rages on via its punk-minded gatekeepers like Haram and Rakta, while a legion of FACT-friendly artists continue to pummel the instrument into the kind of weird and wonderful new shapes that suggest there’s still infinite room for innovation. 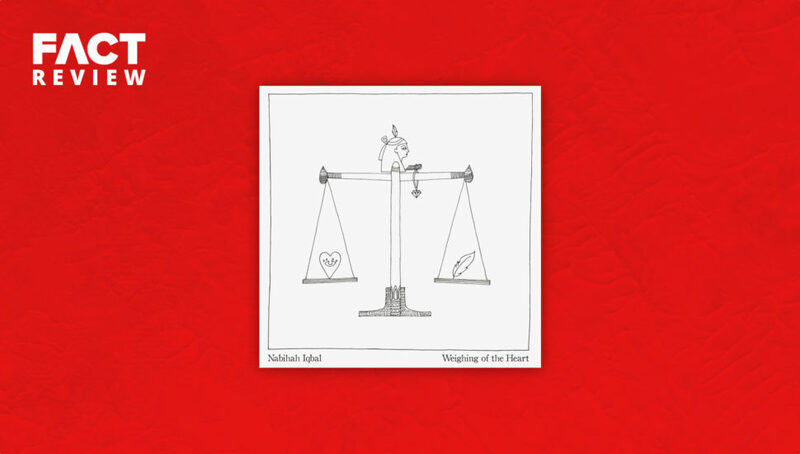 As a producer, Nabihah Iqbal, formerly Throwing Shade, is known best for her glassy synth experiments in meta-pop, but her debut full-length Weighing of the Heart (Ninja Tune) gives the guitar a platform unused by many of her electronic contemporaries. Adding another notch to her impressively varied CV, the album is an exquisitely textured dream-pop fantasia, one that mines the synth-encrusted corners of the late ‘80s/early ‘90s phenomenon, while channelling the moody basslines of post-punk. Iqbal – who has a postgraduate degree in South African history from Cambridge university, a black belt in Karate, is a trained barrister and has composed a piece of music for the Turner Prize – is one of NTS Radio’s best-loved voices. Her bi-weekly Saturday lunchtime show as Throwing Shade – a tribute to seminal voguing documentary Paris is Burning – “brings you an ethnomusicological perspective on weird and wonderful music from around the world,” and she’s been known to drop mashups of Arabic dance music and Rihanna into her distinctive live sets. Now casting off her Throwing Shade moniker for the release of her debut album, Iqbal “stands proudly as a British Asian musician under her own name.” She does so in the same year that the number of hate crimes in England and Wales has increased by 29%, with latest figures showing 80,393 offences recorded by police. Iqbal’s album may not be political in character, but its accompanying statement is a vital assertion of her identity. Weighing of the Heart also alludes to Ancient Egyptian mythology, notably the belief that in order to enter the afterlife, a person’s heart had to be weighed against a feather representing the goddess of truth, Ma’at. The Ancient Egyptians viewed the heart as the epicentre of a person’s moral being and if the deceased was of immoral character, their heart would tip the scales and be eaten by the waiting goddess Ammit. With this light/dark dichotomy in mind, Weighing of the Heart affects a finely-tuned balance between analog and digital, between gated drum machine patterns and live instrumentation – particularly the aforementioned guitar. It’s this whip-smart attention to detail that stops the album from plunging off the cliff face of self-indulgent nostalgia. What’s more, the live aspect gives the record an organic feel quite distinct from the slick electronica of Iqbal’s previous EPs, while the breathy looped vocals are a soothing antidote to the hyperbolic brashness of House of Silk tracks like ‘Hashtag IRL’. Album opener ‘Eden Piece’ posits a cosmic interplay of booming kicks, warm, Tori Amos-esque piano and reverb-soaked oohs and aahs that blanket the album in an ‘80s soft-focus sheen from the off. Lead single ‘Something More’ turns to treble for that classic jangle-pop sound, adding pads and breathy vocals, while ‘Saw You Twice’ and ‘In Visions’ – with its narcotized lyrics like “When you are dreamy softly / Your dream will take you there” – languish somewhere in the low-end climes of the goth-pop tradition à la Bauhaus, a band whom Iqbal counts among the album’s primary influences. A heavy-lidded ambience washes over Weighing if the Heart, but it’s always peppered with minutiae, from the widescreen soundscape of ‘Alone Together’ – with its starry-eyed microcosm of bleeps, twinkles, handclaps, spaced-out synths and shimmering guitars – to the palette of guitar effects employed on the neo-psychedelia of ‘New New Eyes’. However, the standout track on Weighing of the Heart, doesn’t pay its dues to the texture-rich possibilties of sound. Made in collaboration with London synth adventurers Real Lies, ‘Zone 1 to 6000’ is an audacious experiment in deadpan spoken word, ‘80s pads and street-lit atmospherics – a 21st century update of the Pet Shop Boys, if you like. Look beyond the track’s London-centric persona, however, and its messages about taking every day as it comes will no doubt resonate with any city-dweller: “Escape on Friday / Get caught on Monday…. And all through midnight streets you’ll hear / How the youthful and the old / Party hard to numb the fear / No one wants to feel the cold,” she sing-speaks. Weighing of the Heart is the latest experiment for a hard-working polymath who appears to takes pleasure in the unknown. Iqbal’s acts of escapism exist in her magpie-like curiosity for sound and her enviable ability to leap and venture into new sonic climes, and if that’s the pathway she’s pursuing, we’re more than happy to join her on her journey. April Clare Welsh is a news writer at FACT. Find her own Twitter.